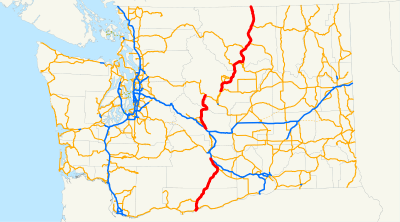 On Friday and Saturday, November 27-28, 2009, we drove the entirety of US Route 97 in the state of Washington, including the sections that aren't part of the state route in the code. 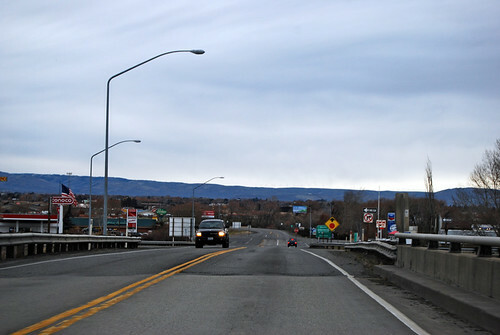 US 97 enters Washington on a bridge over the Columbia River. Roll on, Columbia! We then proceed up the hill past the town of Maryhill, under the gaze of Sam Hill's mansion, with views of Sam Hill's Stonehenge memorial and a forest of wind turbines, to a junction with SR 14. We must take a left to continue on Highway 97. We continue climbing a half mile or so to another junction with SR 14, whereupon we must turn right to stay on US 97. 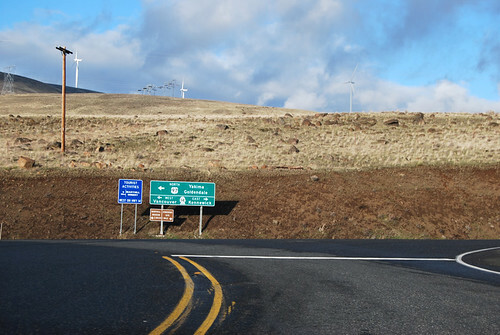 Up we continue, past the spinning wind turbines, to the plateau which surrounds Goldendale. 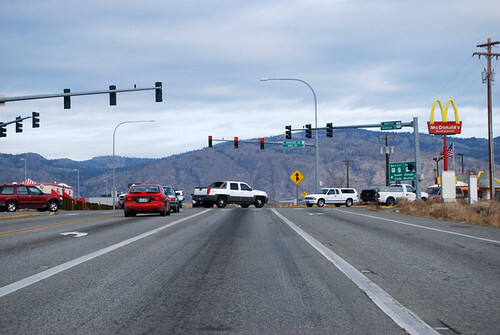 US 97 skirts the east side of town, meeting SR 142 at the north end. The route then climbs over the Simcoe Mountains at Satus Pass. Traces of snow dot the landscape near the top. 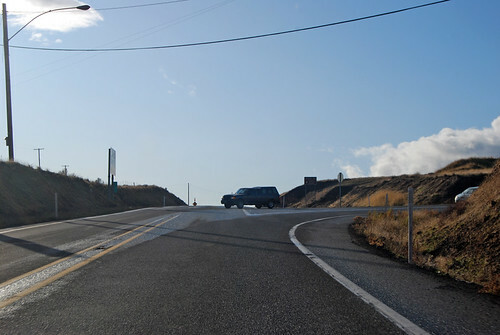 Down Satus Creek and over Toppenish Ridge, we enter the fertile Lower Yakima Valley and arrive at a junction with SR 22 at Toppenish. Take a left to stay on US 97, by the way. 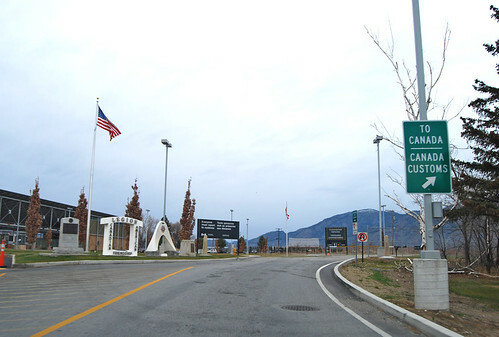 Past Wapato to Union Gap (the city near the identically named gorge through Ahtanum Ridge), US 97 merges with Interstate 82. 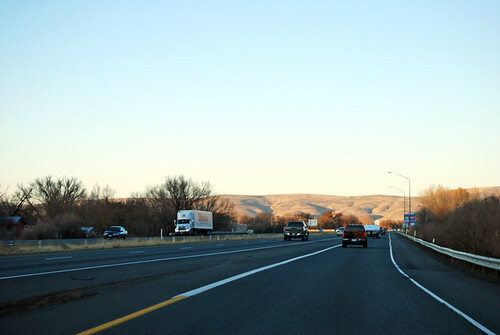 This is officially the start of a gap in the highway, although the signage continues along the rest of I-82. 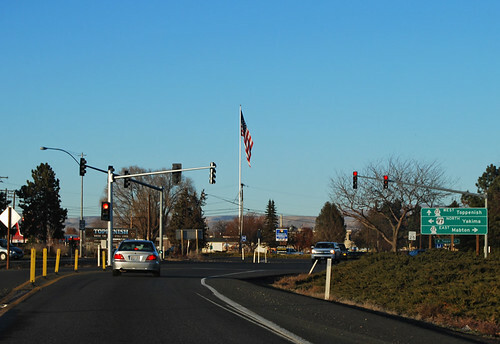 At Ellensburg, the signed route for US 97 joins I-90 briefly, but at the west end of town, Highway 97 starts off on its own once again, saying goodbye to the interstate. Shortly, after a few zigs on local streets, US 97 starts down a long straightaway. After a mile, however, you must turn right to stay on 97. Going straight will put you on SR 10, the remnant of the once mighty US 10 that tore across the state from Seattle to Spokane and points beyond. 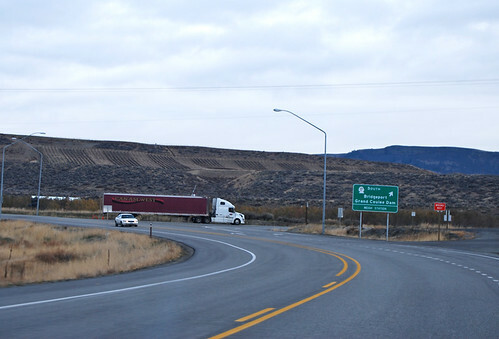 US 97 then goes northwest through the hills to a junction with SR 970 at Virden. 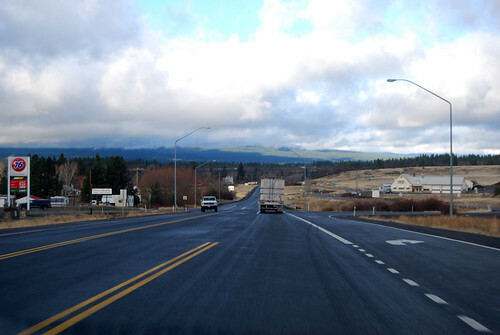 This section originally was Highway 131, while Highway 97 used to continue with US 10 to Teanaway and hang a sharp right onto what is now Highway 970. When this shortcut was improved enough to meet federal highway standards, it got the US 97 number. Take a right to stay on US 97. 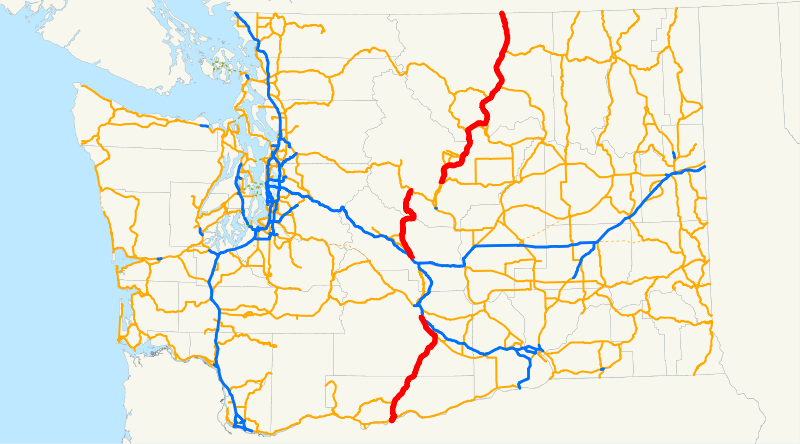 Highway 97 then proceeds north over an arm of the Cascades, the Wenatchee Mountains, crossing at what was once Swauk Pass, but is now called Blewett Pass, because they relocated the highway from the original Blewett Pass over to Swauk Pass, but they didn't want to confuse anybody with the new name, so they renamed both. The original Blewett Pass is now Old Blewett Pass. I'm sure you're not confused. ... Plenty of snow along the roadsides, but the pavement was bare and wet. I slowed down for the first downhill corner, however, just in case. The highway then proceeds down Peshastin Creek to a junction with US 2, which looks a lot different then when we drove that highway just twenty-one months ago. There's an interchange now! 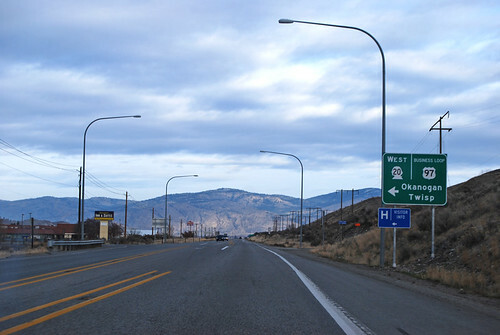 On the other side of Wenatchee and the Columbia River, US 97 departs from US 2 and heads north up the river. For once, we don't have to turn at the junction; just keep driving straight. 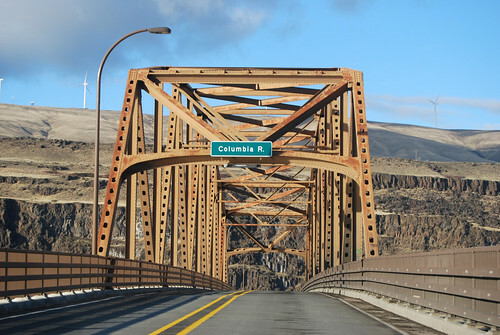 Twenty miles or so up the Columbia, just after crossing the Beebe Bridge over the mighty river, US 97 intersects SR 150, which will lead you up to Chelan. That's the route you'd have to take northward back when this stretch of road was SR 151 and US Alt 97 was US 97, because the following section of highway hadn't yet been constructed. But it has now, so it's all good. A short way later, US 97 meets up with US Alt 97, which is here called US 97 Alt. It will take you up to Chelan. 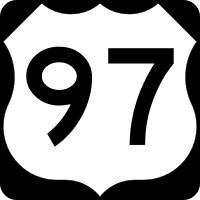 US 97 is now US 97. 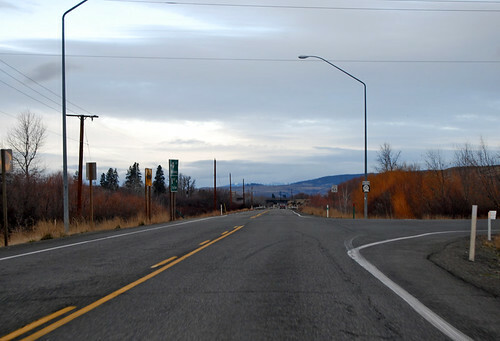 Up along the wide and scenic Columbia River to Pateros and the Methow River, we find a junction with SR 153. 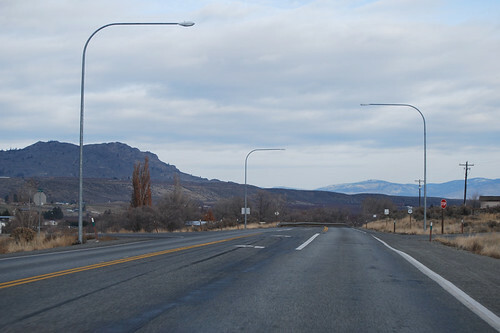 Shortly before the junction, there was a sign stating that SR 20 was closed for the winter past Winthrop. Good to know, because that's the direction SR 153 goes. 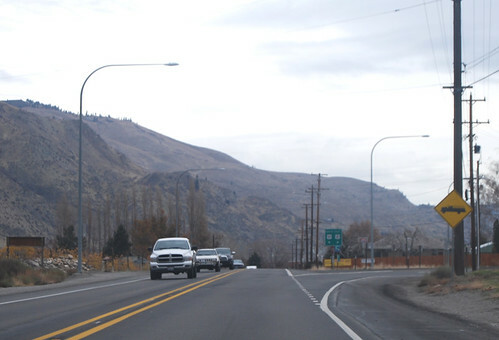 After another stretch of Columbia River/Lake Pateros, we arrive at Brewster and the junction with SR 173. 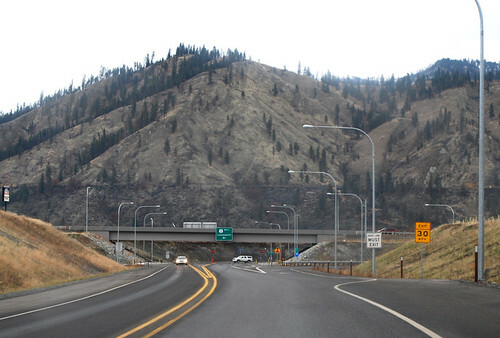 US 97 then curves around, crosses the Okanogan River, and arrives at a junction with SR 17. This is your last chance to continue upstream on the Columbia. We'll be following the Okanogan from here on out, otherwise. Thirteen or so miles later, there's a little sign saying "Malott" with an arrow to the left. 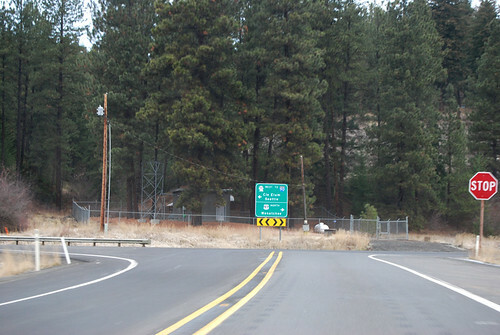 That sign marks the junction with SR 213. 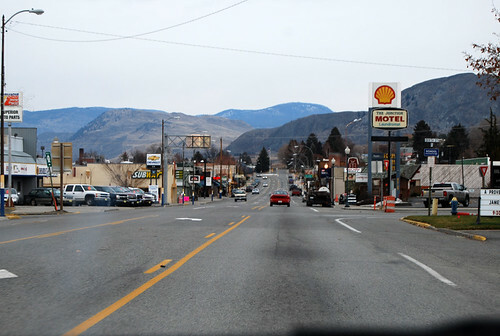 As of yet, the state highway merely crosses the Okanogan River to the town of Malott, but some day, yes, some day, it will continue up the west bank of said river all the way to a junction with SR 20. Alas, not yet. So they haven't bothered putting Washington's head on the sign yet. 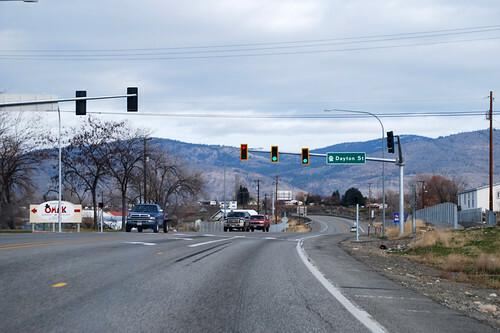 Eight miles later, we're near the city of Okanogan and have arrived at the junction with SR 20. Once again, a temporary sign warns unsuspecting travelers of the closure of the North Cascades Highway past Winthrop. It's a good thing we're not going that direction. For the next thirty miles, SR 20 joins US 97, so all of this might look kinda familiar, but we're going to pretend there's no SR 20 for a while, okay? Oh look. That stoplight's new! 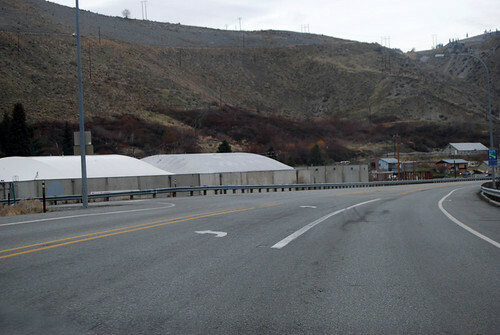 Here's the junction with SR 155, which goes into Omak and dives under US 97 to head for Grand Coulee. I guess I was wrong about SR 17 being your last chance to follow the Columbia. . .
Up the hill to the McDonald's and Walmart and the junction with SR 215. This time I knew it was coming, even though they didn't provide adequate signage. Southbound travelers do receive ample notification of the junction, I however noticed. 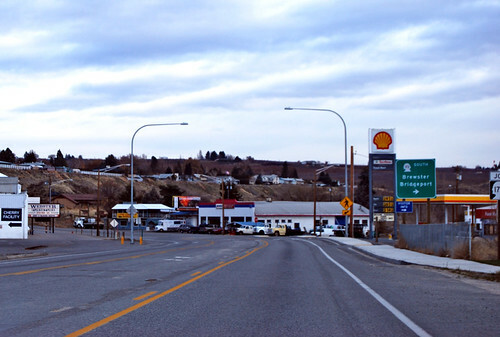 I guess WSDOT wasn't really expecting anyone to want to doubleback to downtown Omak. 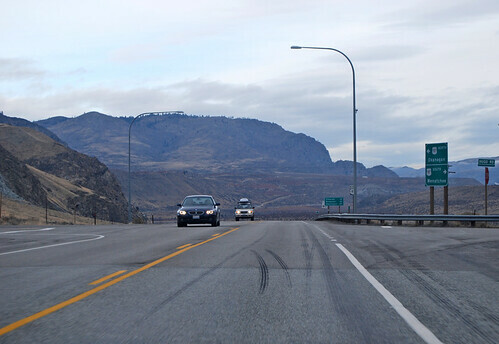 Up the Okanogan valley to Tonasket we go, where SR 20 takes a leave for points east. 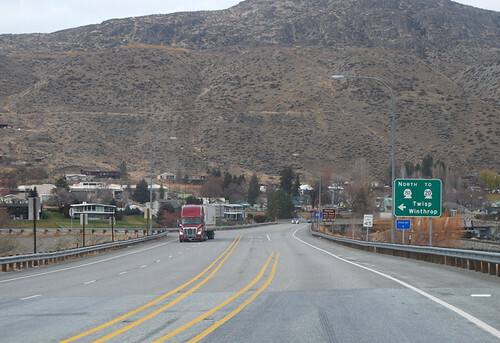 I notice that ever since Wenatchee, US 97 has been going straight at every junction. Much different than the south half of the state. Curious. And whoa! We're at Canada. I hope you have your passport -- and a good reason for wanting to visit their fine country. "I'm driving every highway in Washington State in numerical order." "I haven't heard that one before." But once again, they let us in. How nice. And so our two-day trek through the rugged heartland of Washington has drawn to a close. There's now nothing to do but turn around and drive half of it all over again. . .
Well done, I enjoyed the trip!